On 20 February 2017, Belstat, Belarus's official statistical agency, announced that the GDP has once again dropped by 0.5 per cent in January compared with the same month in 2016. However, on 21 February 2017, Prime Minister of Belarus Alexey Kobyakov tried to mitigate the country's economic problems by claiming that Russia's oil cuts are the main cause of current economic woes. Meanwhile, the real consequences of recession have led to a decrease in private consumption, lack of investments (especially foreign), and problems with trade diversification. According to Belstat, in January 2017 the retail trade turnover in Belarus decreased by 4.6 per cent year on year, culminating in a record decline in private consumption over the past two years (see Figure 1). Experts attribute the fall in retail trade turnover with the economy's prolonged recession, which has in turn led to a reduction of the real monetary income of the population. The Chairman of the Belarusian Union of Entrepreneurs, Alexander Kalinin, believes that this drop reflects a significant decline in the purchasing power of the population. Economist Yaroslav Romanchuk has explained the fall in income by the absence of efficient production and investments and a subsequent drop in sales, which has lowered wages. As a result, the Swiss company Credit Suisse, in its global welfare report, placed Belarus in the group of poorest countries, with an income below $5,000 per person per year. However, it named the significant reduction of 'oil rent' as the main reason for Belarusians' increasing impoverishment. This, in turn, has been caused by the fall in oil prices worldwide and a reduction of oil supplies from Russia. Meantime, the Belarusian authorities still consider China to be the country's main investment pillar in recent years, and try to encourage Beijing to participate more substantially in the privatisation of distressed industrial enterprises. On 21 February 2017, First Deputy Chairman of the State Property Committee Alexey Vasilyev announced that China is considering investing in OJSCs such as Horizont, Vityaz, BATE, and Gomselmash as well as a total of 22 Belarusian state-owned enterprises (SOEs). However, such prospects seem dubious, as, according to Alexey Vasilyev, the number of successful privatisation transactions in Belarus in 2016 was zero. This can be explained by the absence of privatisation proposals and hence a lack of interest from potential investors in the indebted enterprises offered. State authorities have yet to draw up a list of profitable SOEs confirmed for compulsory privatisation. This process is still in its early stages, starting with a study of demand from potential investors. Additionally, the government is trying to find a way to improve the efficiency of management of state organisations by elaborating a new strategy for this purpose. The new programme will define the principles of state policy in the field of SOE management, including the state's attitude towards state property. For example, the strategy will outline which enterprises are to remain the property of the republic and which are not, as well as what will happen to the stocks of privatised companies and the state's share in strategic enterprises. A particularly interesting point concerns the proposition to sell up to 25 per cent of SOE shares on the stock market. The authorities think that the stock exchange could stir up the Belarusian market, which, in turn, could help them sell large blocks of shares at a higher price. However, these rushed attempts should have been completed twenty years ago. 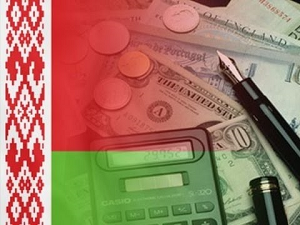 According to new data released by Belstat on 13 February 2017, the trade turnover between Belarus and Russia has dropped to its lowest point since 2009, when trade fell due to the global financial and economic crisis. Right now, the main cause lies in the unresolved oil and gas dispute between the two countries. At the moment, it seems unlikely that Russia will agree to subsidise Belarus on previous terms. This is first and foremost because of its own economic problems (for example, growth of wage arrears, especially in the southern regions of the country), and secondly due to the need for economic reforms, which will consume additional financial resources. As a result, revenues from petroleum product exports fell by 40 per cent in 2016 year on year. Export deliveries of Belarusian oil products have decreased in physical terms by 23 per cent and amounted to 13m tonnes (see Figure 2). Additionally, the geographical structure has also changed, with Ukraine experiencing the largest increase – by one third, and the EU experiencing the largest decline – approximately by 33 per cent. Sales of the second most important Belarusian export, potash fertilisers, have also tumbled by 23 per cent compared to 2015. Exports of agricultural and food products, Belarus's third most significant export item, have dropped as well. In previous year, exports came to $4.15bn, with almost 90 per cent going to Russia. However, due to constant bans from Rosselkhoznadzor, export growth of this trade item has not occurred either. As a result, the authorities are trying to rectify two decades worth of one-sidedness in state external trade policy. However, the multi-vector trade policy remains mostly rhetorical. A recent example of this is the attempt to supposedly diversify imports of crude oil by trading with Iran. However, this is a questionable option for Belarusian refineries from a technological point of view. Therefore, taken all together, the recession will make things difficult for Belarus. Economic hardships are being followed by decreased incomes, hesitant foreign investment, and badly implemented external trade policy. The recent visit of Alexander Lukashenka to Sochi on 15 – 26 February 2017, which did not include an audience with Vladimir Putin, casts the relationship between Minsk and the Kremlin in an ever more ambiguous light. Tensions between Belarus and Russia have been mounting over the past months, as the Kremlin puts more and more pressure on Minsk. The nature of this pressure is perfectly encapsulated by the so-called Gerasimov Doctrine of hybrid warfare. According to the doctrine, Belarus and Russia have entered the 'pre-crisis' stage of conflict. In February 2013, General Valery Gerasimov, the Chief of General Staff of the Russian Armed Forces, published a report on hybrid or asymmetric warfare (the Gerasimov Doctrine), which Russia successfully tested during its conflict with Ukraine. General Gerasimov believes that the rules of war have changed and the line between war and peace has blurred. The role of non-military means of achieving political and strategic goals has grown. In many cases, these means have proved more effective than conventional warfare. This new type of conflict relies broadly on political, economic, informational, humanitarian, and other non-military measures, applied in coordination with mounting discontent and an atmosphere of protest on behalf of the population. All this is supplemented by military means of a concealed nature, including disseminating hostile information and deploying special operations forces. According to Gerasimov, Russian military practises must evolve to accommodate these new methods of warfare. He has also proposed a schematic model for modern conflict, entitled 'The Role of Nonmilitary Methods in Interstate Conflict Resolution'. His model outlines six stages of conflict development (see picture below). Each stage focuses on nonmilitary measures, but potentially entails increasing military involvement as the conflict approaches resolution. Is Russia already waging a hybrid war against Belarus? The Gerasimov Doctrine perfectly captures the ongoing conflict between Belarus and Russia. According to the schematic model, Belarus and Russia have already passed through the first ('covert origins') and second ('escalations') stages. They are now in stage three: 'start of conflict activities'. Meanwhile, Belarus and Russia formally remain strategic allies. For this reason, applying the Gerasimov Doctrine to the case of Belarus first requires some clarification. As interstate contradictions intensify, the third stage of conflict begins, and opposing forces begin to take action against one another. This can take the form of demonstrations, protests, subversion, sabotage, assassinations, and paramilitary engagements. The Kremlin then frames this intensification of conflict as a direct threat to Russia's national interests and security and begins preparations to intervene politically and militarily. According to General Gerasimov, conflict activities must involve nonmilitary and military measures in a 4:1 ratio. Russia has already begun to take such actions against Belarus. The Kremlin has been grooming coalitions and unions in Belarus for decades, expanding its influence in different areas such as security services, the bureaucracy apparatus, and even certain NGOs and oppositional groups. 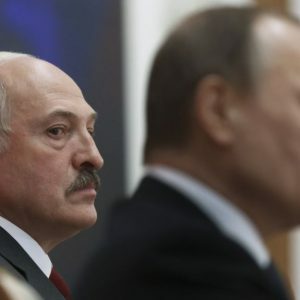 Although it may be hard to believe, even prominent Belarusian oppositional leaders such as Stanislaŭ ​Šuškievič and Zmicier Daškievič discussed the option of bringing in Russian troops to Belarus in order to overthrow Lukashenka in 2010. The Kremlin has been systematically putting political and diplomatic pressure on Belarus since the beginning of the conflict with Ukraine and the West. Moscow urges Minsk to take sides in a new Cold War, attempting to establish a Russian military presence on the territory of Belarus, thus transforming it into a military outpost for Russia. Economic sanctions include permanent trade wars and restrictions of Belarusian goods on the Russian market, the gas price dispute, and insufficient delivery of Russian oil to Belarus. Because of this, in January 2017 alone Belarus lost 1.5% of its GDP. This Russian economic pressure contributes significantly to undermining social and economic stability. Despite their ongoing conflict, Minsk and Moscow have not announced a break in diplomatic relations. Nevertheless, Vladimir Putin recently ignored Alexander Lukashenka and refused to meet with him in Sochi, according to the press. This may be Moscow's way of signalling that the Kremlin no longer perceives Lukashenka to be a partner worthy of negotiation. The year 2017 hasn’t seen any significant signs of improvement in Russian-Belarusian relations except statements of difficulties and problems; this includes the visit to Moscow of Uladzimir Makei, the Minister of Foreign Affairs, on 21– 22 February. It seems that the Kremlin does not take the arguments and concerns of the Belarusian leadership seriously during talks. A few days later, Russian Energy Minister Alexander Novak stated that a full repayment of Belarus's $600 million natural gas debt is the key condition for the two sides to reach a compromise. On top of this, Gazprom increased the price of gas for Belarus by 6.81% (to $141.1 per 1,000 cubic metres) since January 2017 despite ongoing gas price talks. On 17–19 and 26 February 2017, Minsk and several other cities saw the largest demonstrations of opposition forces since December 2010, when Belarusians protested against the results of the presidential election. Hundreds of people protested against the controversial 'social parasite' law. Some oppositional figures, such as Uladzimir Niakliajeŭ and Mikalaj Statkievič, also took part in the demonstrations. They wished to transform the socially-oriented protests into political ones, demanding the resignation of the government and Lukashenka on 25 March 2017. On 5 March 2017 dozens of anarchists in black masks appeared unexpectedly at the demonstration in Brest. They may easily become a source of provocations. The protests have provoked debate regarding whether Russia could take advantage of the situation to destabilise the country and send in troops to 'restore the constitutional order'. Lukashenka has already alluded to this scenario in a recent statement about the protests. It seems that the Kremlin is preparing Russian public discourse for a serious crisis in Belarusian-Russian relations with the help of an informational warfare campaign. Some journalists' reporting on Belarus in the Russian media evinces parallels with the situation in Ukraine. Allegedly, the West is attempting to drive Belarus away from Russia. According to them, Belarus can expect Ukraine-style instability, as Western intelligence agencies are preparing a colour revolution to overthrow Alexander Lukashenka. Other stories focus on the growth of nationalist sentiment and 'Russophobia' in Belarusian society. Recent polls conducted by the Russian Public Opinion Research Centre have demonstrated that 60% of Russians oppose oil and gas discounts for Belarus even if Minsk should support the Kremlin on the international arena. About 80% are for re-instating border controls with Belarus. As for military measures, Belarus Digest has already covered the ongoing deployment of two mechanised brigades of the Russian Armed Forces in Yelnya and Klintsy close to the Belarusian border. Incidentally, these brigades would be very well suited for a hypothetical crisis intervention under the guise of, for example, a joint anti-terrorist operation. It seems that the Kremlin is considering the possibility of deploying troops to 'stabilise the situation and restore the constitutional order' in response to unrest in Belarus, judging by the 2015 military drills 'Interaction' and 'Slavonic brotherhood'. In addition, Russia continues to reinforce border controls and infrastructure on the Belarusian frontier, deploying operational formations of the FSB border service. In February 2017, units of the Federal Customs Service appeared there as well. Officially, these are meant to protect the Russian market from the embargo on Western food products which pass through Belarus and other member-states of the Eurasian Economic Union. However, it may easily turn into an economic blockade. It seems that the Belarus-Russia conflict could easily advance to the next crisis stage, if it is to escalate further. The main question is whether the Kremlin is really preparing for a crisis with Belarus or merely using threats to achieve political aims and concessions by means of brute blackmail. Arseni Sivitski is the Director of the Centre for Strategic and Foreign Policy Studies based in Minsk; he is also a military officer in reserve for the Belarusian Armed Forces.